Leave it to Jean-Robert de Cavel to Frenchify an American staple with plenty of style and joie de vivre. De Cavel may not be in Frenchie Fresh’s Rookwood Exchange kitchen—it’s more than ably marshaled by chef Roy Silcott, a veteran of several de Cavel restaurants—but his esprit is everywhere. 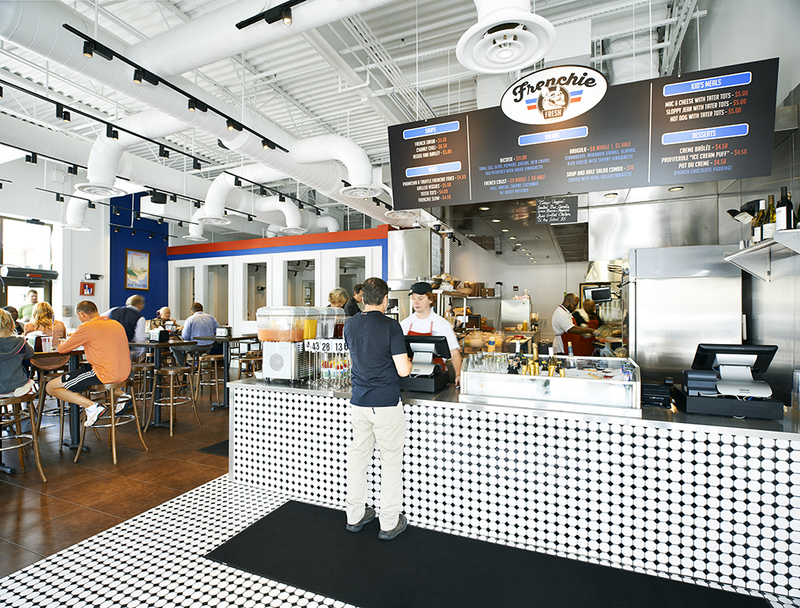 Bright and clean inside, patio tables and umbrellas outside, Frenchie Fresh is like a burger joint that washed up on the Cote d’Azur. 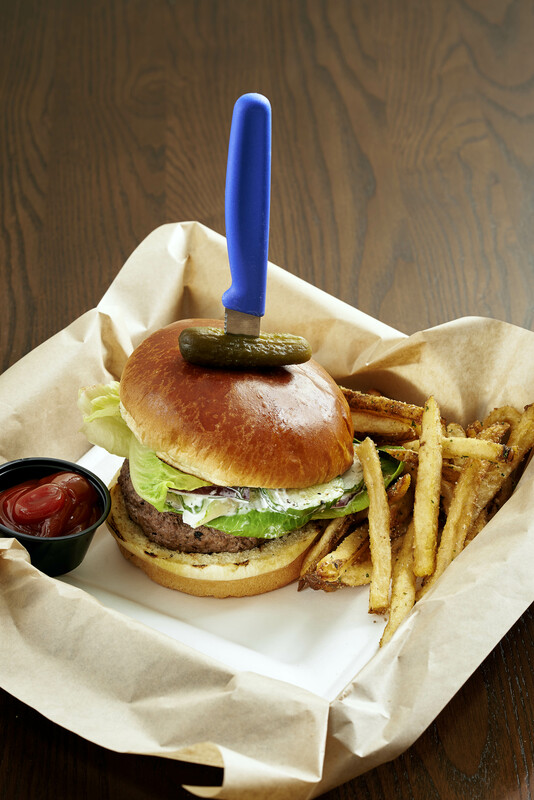 Plump patties of Kansas City beef, Ohio bison, New Zealand lamb, Texas wagyu, or Keystone State turkey can be customized with nearly a dozen toppings, like tomatoes Provençal, onion and grape compote, or sautéed mushrooms. They’re served “Yankee” style in a bun, or open faced on a grilled herb baguette with a chubby gherkin. Try the Alpine, with Gruyere, caramelized onions, and mushroom demiglace, and the frites, which are crisp-tender and truffled—perfection on their own, or with a side of Franch dipping sauce. Side salads are lightly dressed and the Mac & Chez is creamy and rich. At every turn you can see the delight de Cavel had in conceiving the place, perhaps nowhere more so than the counter, which offers a variety of sophisticated sips, like fruited spa water, Bloody Mary mix, Champagne, and La Chouffe Belgian ale. Merci monsieur de Cavel. Frenchie Fresh, 3831 Edwards Rd., Oakley, (513) 366-3960, frenchiefresh.com Lunch and dinner seven days.